Vaughan Woods & Historic Homestead teams up with the City of Hallowell’s Luthier’s Festival! Become a young Luthier! 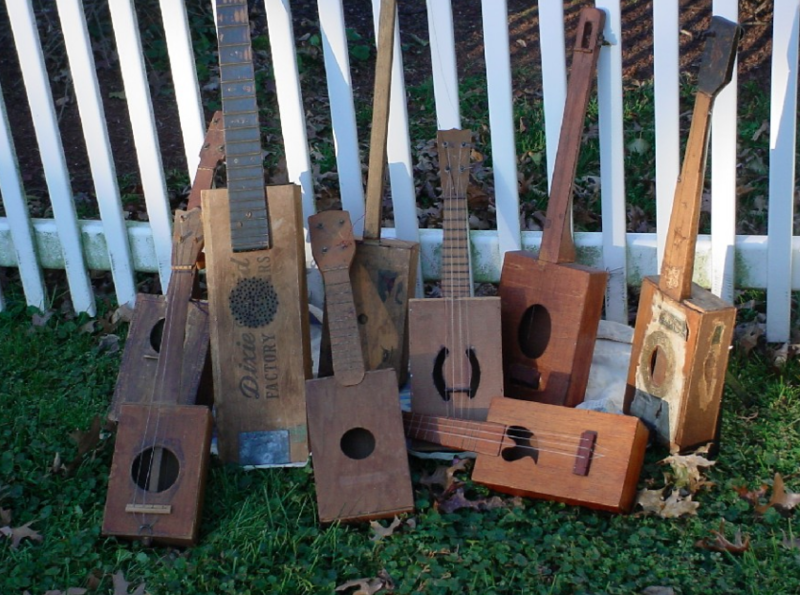 Kids ages 8-13 can come to the Homestead to join expert guitar maker Joel Amsden from Kennebec Instrument and Amplifier in making a three-string guitar using a cigar box, a wooden neck, and some basic parts. Students will learn how to tune and play a simple song, then take home their guitars! Parental participation may be needed – use of hand tools will be required. Cigar box guitars date back to the 1860s but have had a modern resurgence thanks to famous players of cigar box instruments including the Rev. Billy Gibbons from ZZ Top, Tom Waits, PJ Harvey, and Sir Paul McCartney. Fee: $20, space is limited to 15 students, registration required. Online Pre-Registration has closed. Please call (207) 622-9831 to check for space availability.